Up on the third floor of UBC Psychology’s Kenny building, Dr. Todd Handy sits in a big computer chair on wheels in the middle of his main lab room, enthusiastically tossing ideas back-and-forth with Ph.D. students Jennifer Yip and Simon Ho and senior undergraduate student Kyle Gooderham. The four of them are crafting a study that’s been funded by a generous donor, on the subject of exercise and cognitive function. The relationship has been studied extensively before, but Handy is excited, he explains, about the potential of using a novel “non-esoteric measure” such as exam performance to measure exercise’s immediate effects on brain function. Within a minute of observing the brainstorming process going on in the lab, it becomes evident that Handy is a researcher who respects his students’ ideas and contributions. “Yes! You’re being smart,” he tells Kyle, who’s just suggested a potential study variable and is rapidly scrawling the group’s ideas on a whiteboard. Although the research team is fairly small, Handy’s Attentional Neuroscience Lab is clearly a place where students feel at home. There’s a large, comfortable looking couch in one corner, and opposite that is an acoustic guitar. Students perch comfortably on top of computer tables while engaged in discussion. He’s collaborating with researchers in Bristol, looking at how the lowered visual stress of a natural environment can help improve cognitive function. 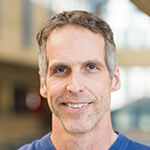 He’s also currently working with colleagues in the physical therapy department to explore the effectiveness of exercise-based interventions on stemming cognitive decline in elderly people. “Weight training is actually best,” Handy says. “It can even help with mild cognitive impairment, which is the precursor to Alzheimer’s”. This array of different people and projects is mirrored in the lab itself, as the graduate students that Handy supervises are working on a huge range of different topics. Grace Truong looks at self-relevance and object ownership, Diana Pricop and Jennifer Yip study the clinical implications of mind-wandering, and Simon Ho’s research focuses on machine learning, exercise, & cognitive performance. Handy’s research has gotten a fair amount of attention this past year, a lot of which was focused on an April 2015 study that found chemotherapy can lead to excessive mind wandering and an inability to concentrate (a state known as “chemo brain”). Handy says he’s glad that this study had such a large reach, not for his own purposes, but because it helped “a lot of people who needed validation” for their experiences. As a cognitive neuroscience laboratory, the researchers rely on fMRI and ERP technology to study attention’s relationship to aging, mobility, migraines, and more. Truong, G., Chapman, C., Chisholm, J., Enns, J. T., & Handy, T. C. (in press). Mine in motion: How physical actions impact the psychological sense of object ownership. Journal of Experimental Psychology: Human Perception & Performance. Wang, C., Zhu, R., & Handy, T. C. (in press). Experiencing haptic roughness promotes empathy. Journal of Consumer Psychology. Hsu, C. L., Voss, M. W., Best, J. R., Handy, T. C., Madden, K., Bolandzadeh, N., & Liu-Ambrose, T. (in press). Elevated body mass index and maintenance of cognitive function in late life: Exploring underlying neural mechanisms. Frontiers in Aging Neuroscience. Kam J. W. Y., Brenner C. A., Handy T. C., Boyd L. A., Liu-Ambrose T. Y. L., Lim H. J., Hayden S., & Campbell K. L. (in press). Sustained attention abnormalities in breast cancer survivors with cognitive deficits post chemotherapy: An electrophysiological study. Clinical Neurophysiology. 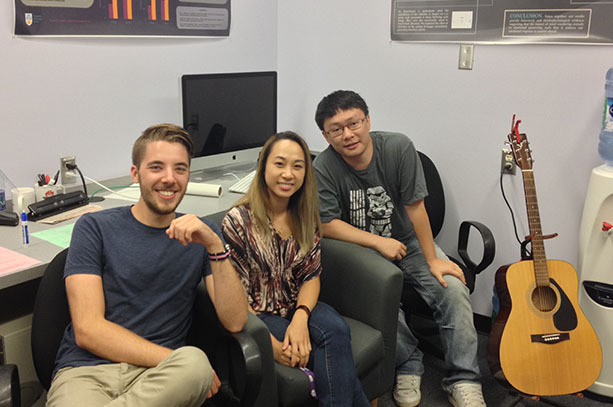 This Lab of the Month feature was originally posted on psych.ubc.ca.